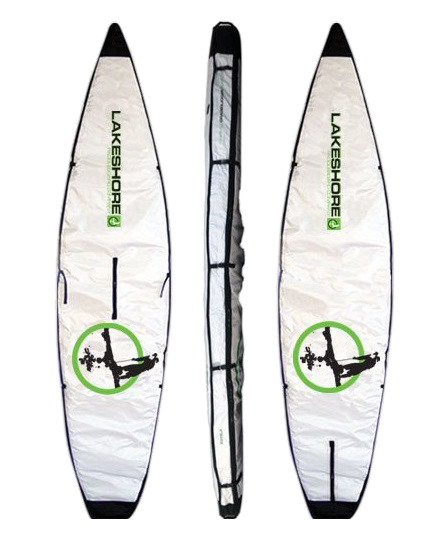 Classic 12.6 Board Bag - Lakeshore Paddleboard Co. 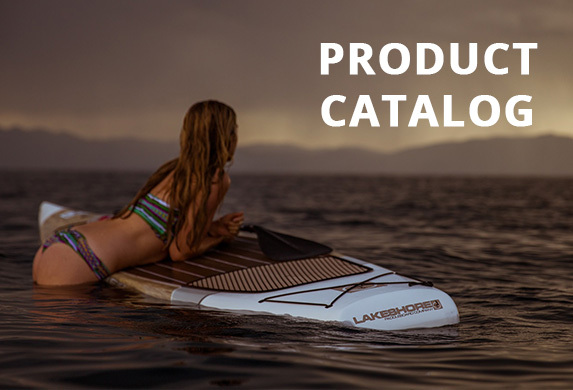 Protect your investment with this classic style board bag which fits the 12'6" x 29" Wet Woody, the 12'6" x 29" Sunset Cruiser, or the 12'6" x 27" Stealth. Whether you're travelling near or far, storing for a weekend or a winter, covering your board from direct sunlight, or just want peace of mind during general handling, board bags are essential to help keep your board safe and sound in every situation. Features include a high quality construction, 10mm thick foam padding , a center slot to access the board handle for carrying, extra rubber handles at the nose & tail, a fin slot with Velcro closure, comfortable shoulder strap, 5 cinch straps on each edge, and a heavy duty #10 zipper.